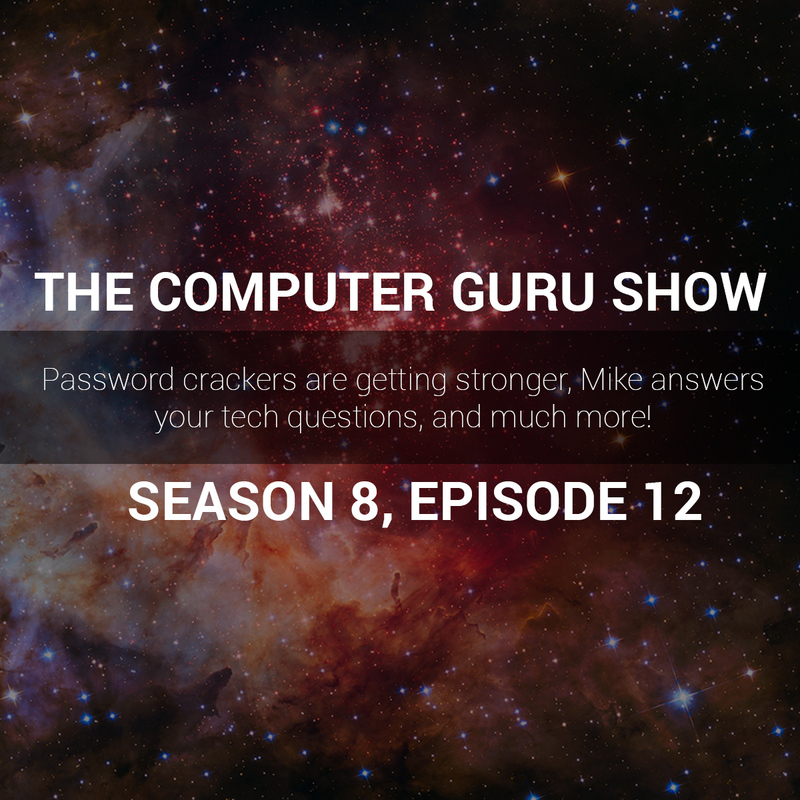 Podcast S8E12 – Password crackers are getting stronger, Mike answers your tech questions + much more! Password crackers are getting stronger, Mike answers your tech questions + much more! Mike has a lot to tell you this week in regards to why your passwords aren't as strong as you think they are. Plus he answers your tech questions and discusses even more tech news with Tara!